I’m not sure whether you all heard about this brand, but to those who have watched “Hwayugi”, a Korean drama which recently aired all its episode will definitely have seen this all-too-familiar scene. 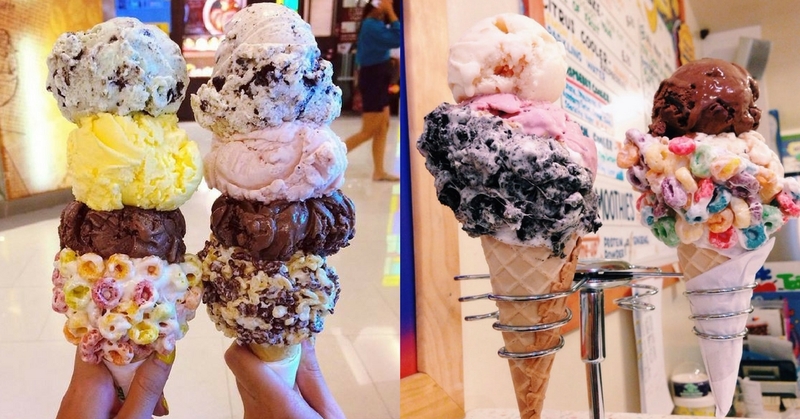 Yup, the infamous ice cream store manned by General Dong in the drama is not a made-up brand for the sake of the drama, but it’s actually a real ice cream store called Emack & Bolio’s, and it’s now available in Malaysia! Emack & Bolio’s have expand their chain stores here in Malaysia and you can actually find them in Johor, specifically KSL and Paradigm Mall. To people out there who doesn’t know what this ice cream brand is all about, allow us to have you enlightened. Well, most of us have heard about famous ice cream brands like Ben and Jerry’s, but Emack & Bolio’s was born in 1975, which is 3 years before the birth of Ben and Jerry’s. Originated from Boston, Massachusetts, Emack & Bolio’s has a few stores in other parts of the world, such as Thailand, Hong Kong, USA, Taiwan, China, the Philippines, and now Malaysia. “Hippie” is the concept for this brand. Judging from the pictures above, you can already see that their ice cream are quite hippie looking as well. Did we mentioned that Emack and Bolio’s also have a mascot call Stoney? Right now we just have to wait for them to open more stores all across Malaysia so that we can sink out teeth into those hippy frost!